There probably isn’t a household appliance that we take for granted more in our Dallas-Fort Worth homes than our refrigerators. But what happens when your Bosch refrigerator stops working? The truth is we never really know when it’s going to stop cooling or have other issues. The only thing we do know is that we have to get it fixed right away. Otherwise, we will risk having hundreds of dollars of food spoil. If your Bosch refrigerator starts acting up, call Appliance Champion, a Bosch refrigerator repair professional, immediately to avoid the spoilage. Bosch refrigerators are pretty simple in terms of the number of components that could be faulty. However, you have to have some skill, knowledge, and time to be able to fix it yourself. You’re working against the clock when your Bosch refrigerator isn’t cooling, so don’t waste any time trying to repair or “jerry-rig it” yourself. Get in touch with your local Watauga and Dallas-Fort Worth area Bosch refrigerator repair specialist instead. All of our refrigerator repair professionals are licensed and certified to work on Bosch refrigerators. We guarantee you’ll be satisfied with our service, so anytime you think your Bosch refrigerator may have problems, give Appliance Champion a call right away. In all that we do at Appliance Champion, we expect nothing but the best. From interacting with our helpful support staff to speaking with your refrigerator repair techs and the actual repair, you can expect nothing less than a five-star performance. All of our appliance repair techs are factory-certified and have experience with your specific model of fridge. 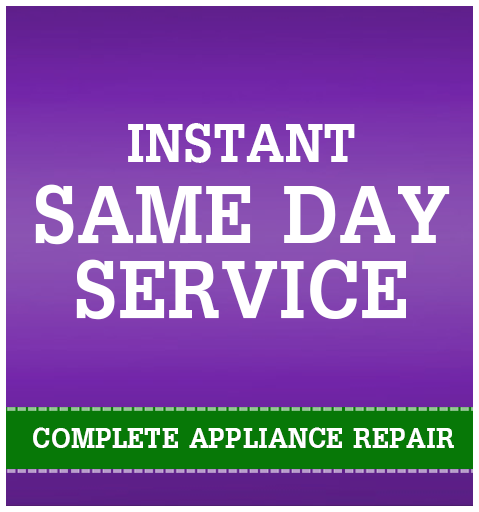 We provide same-day service appointments to the Dallas-Fort Worth area including Westlake, Keller, Southlake, Grapevine, Colleyville, Bedford, North Richland Hills, Arlington, and Saginaw. 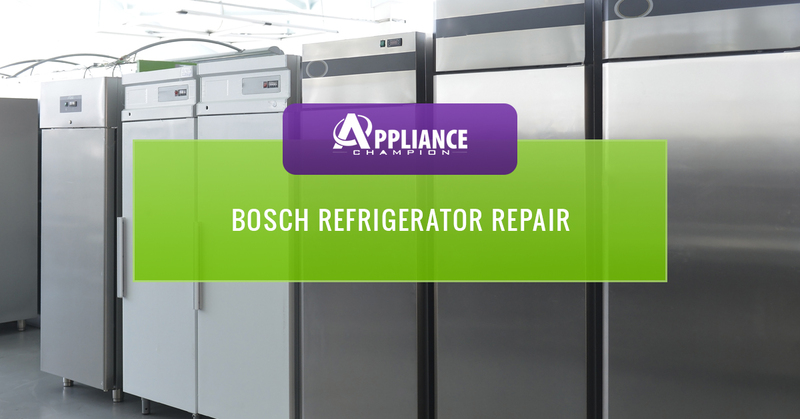 If you need Bosch refrigerator repair, give Appliance Champion a call now! No matter what time, we will be there to take your call. Have questions about about our services or refridgerator repair? Check out our answers to frequently asked questions, read recent blog posts, or contact us. We are are happy to help you get the help that you need to get your Bosch refridgerator back up and running and ultimately, your life back to normal.